Rory McIlroy chose the worst possible time to win his second major. Olympics euphoria, Mo Farah mania and the closing ceremony overshadowed the quiet efficiency with which the Northern Ireland player secured the US PGA title. 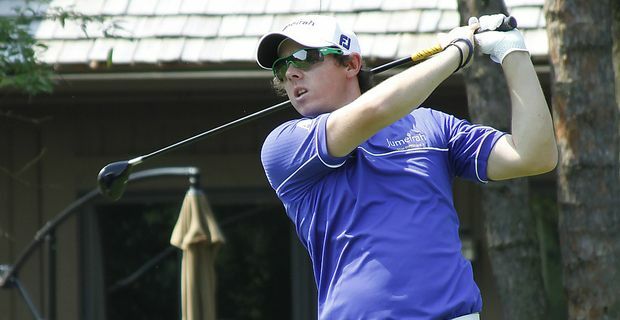 McIlroy held the lead after three rounds. That has been something of a curse this year, with the leaders in the three previous majors all failing to secure the championship. McIlroy was the exception, extending his lead and never looking in any danger of repeating his Masters meltdown. In the end he won the tournament by eight strokes, a record for the PGA. It’s possible that the player benefited from the reduced spotlight. With the world’s sporting attention focused elsewhere, McIlroy said that he was in South Carolina just to compete. "It has been an incredible week," he said. "I had a good feeling about it at the start but I never imagined it would turn out like this." The only player who looked capable of emerging from the pack to mount a challenge was Englishman Ian Poulter. He birdied six of the first seven holes to get within two of the lead, but was outstripped once McIlroy got into gear. "When Rory plays golf like he's playing this week, and obviously the last couple of days, he's very impressive to watch," Poulter said. "You know, everybody should take note; the guy's pretty good." Good enough to be heading back towards the top of the world rankings. If only he could arrange for other major sporting events to distract global attention at every major, McIlroy could quickly add to his trophy tally.